Solar Atmospheres' four facilities recently obtained certifications to AS9100 Revision D and ISO9001:2015. Solar has held AS and ISO quality management systems registration certificates since 2001. These latest releases are said to be the most demanding international standards required of suppliers to the aviation, space, defense and medical industries. 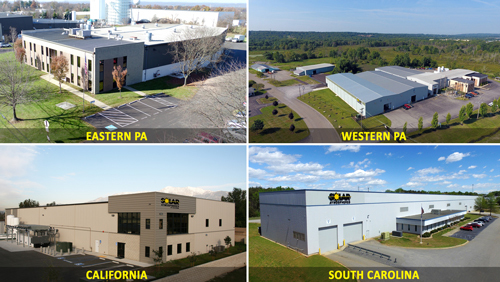 The four facilities are located Souderton, PA; Hermitage, PA; Fontana, CA; and Greenville, SC.